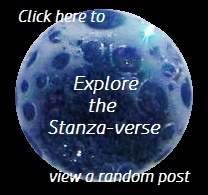 Never the Same Thrice | What Rhymes with Stanza? The Daily Post Discover Challenge: One, Two, Three! This entry was posted in Colors of Glass, creativity, poetry, Uncategorized and tagged 5-7-5, discover challenge, haiku, light, moods, poetry, stained glass panel. Bookmark the permalink.